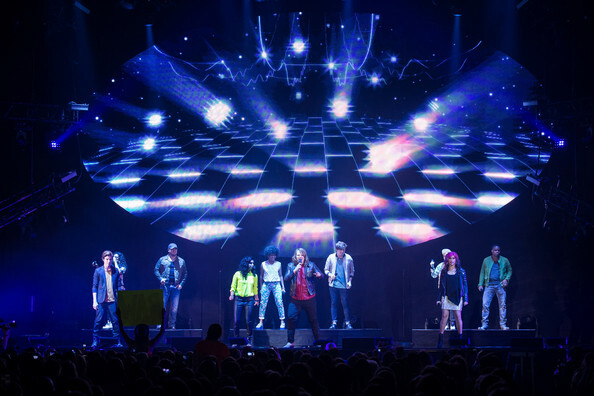 Caleb Johnson, Jena Irene Asciutto, Alex Preston, Jessica Meuse, Sam Woolf, C.J. Harris, Dexter Roberts, Malaya Watson, Majesty Rose and MK Nobilette perform during the American Idol Live! 2014 Tour Kickoff at the Broome County Arena on July 24, 2014 in Binghamton, New York.